Newest Members of the Ubuntu Family! A night out to hear Nick Costley-White's debut album launch show, with a group of incredible Ubuntu Music artists! Left to Right: Alex Munk (Flying Machines), Helena Kay,Alina Bzhezhinska, Martin Hummel, Jessica Radcliffe, Nick Costley-White. 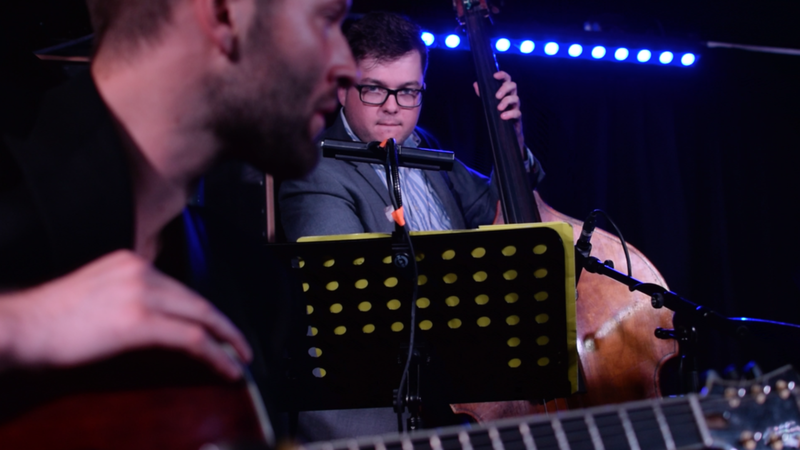 Costley-White's Album Launch a Smashing Success! Packed House at Pizza Express Soho, filled with friends, fans and family! Nick Costley-White and Conor Chaplin.